The next Bedrock release is the result of a collaborative project from three Gabriel Ananda, John Digweed and Nick Muir. Their collective concept of electronic music ventures into a vast, unexplored field of endless possibilities and is the futuristic two-part ‘Tachyon Dream’. A year in the making, the project started with John (who is a massive fan) reaching out to Gabriel to see if he would be interested in working on a project together with Nick. Gabriel already had a demo in mind that he had started and the project was soon up and running. ‘Tachyon Dream’ begins with a hip-wiggling organic percussive groove overlaid with funky keys, before evolving with abstract and uplifting melodies to introduce more driving techno elements before moving into a dreamlike finale. 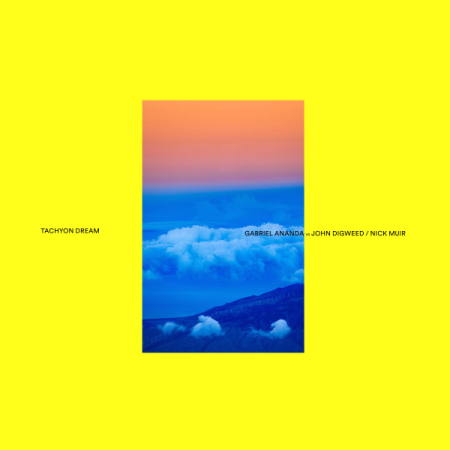 In contrast John and Nick’s ‘Tachyon Dream Rework’ ups the energy levels and introduces definitive acidic elements, marrying the original’s organic attitude with a more machine-like, technological vision. Gabriel Ananda is an expressive artist, who, ever since his early releases via labels such as Hörspielmusik, Karmarouge, Treibstoff, Trapez and Platzhirsch Schallplatten, has DJ’d around the world, and pushes the techno scene from his studio in Cologne, Germany. The output from his Soulful Techno label and its accompanying podcast series are apparently recommended listening experiences. Between them, John Digweed and Nick Muir, have been involved in many pivotal moments in the world of club music over the years and have in many ways possibly helped to define genres and push boundaries. Their partnership has probably been one of electronic music's most fruitful pairings, creating a body of work that’s seen them become a highly regarded production duos. After joining with Gabriel Ananda, John and Nick are already working on a track (to return the favour) that Gabriel will rework and release on his own label in 2018.